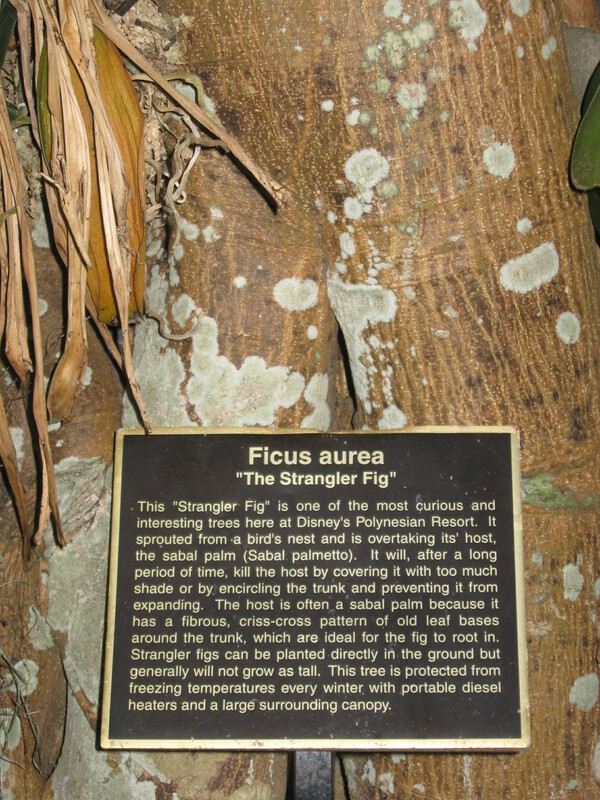 Deep in the heart of the Polynesian Village Resort grounds is a very unique plant. To see it, and to learn more about it, you’ll have to head to the gardens around the Spirit of Aloha stage. 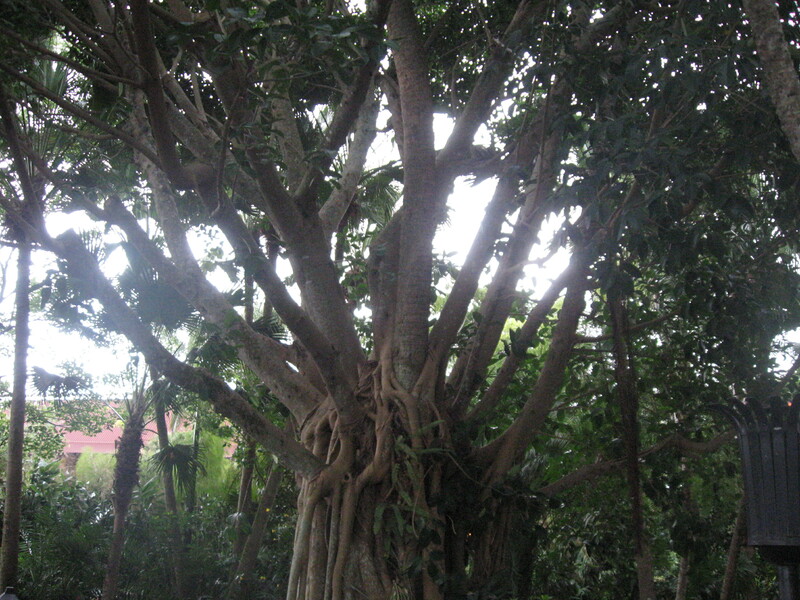 The Strangler Fig is a tree that has been on the Polynesian Village Resort property for years. It is currently thriving on, and around, a Sabal palm. You can read about this strange tree and how it began to overtake the palm. 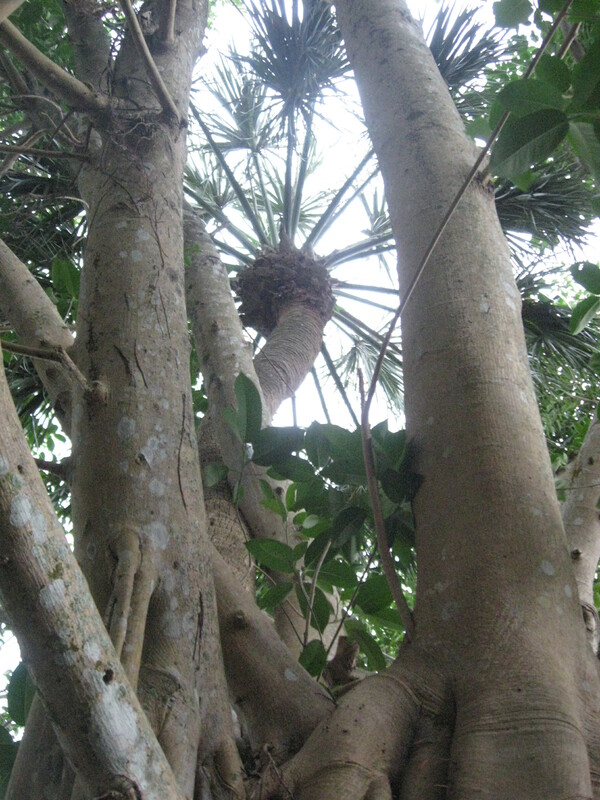 Strangler Figs often grow around Sabal palms because their root structure is easy for the fig to “grab” onto. Next time you find yourself at the Polynesian Village Resort, be sure to look for this strange and fascinating sight!